Lot 15, Tiffany Studios “Red Poppies” lamp, estimate: €45,000 – €70,000, Tajan (March 31, 2016)When Louis Comfort Tiffany, son of Tiffany & Co. founder Charles Lewis Tiffany, strayed from the family business, he began to masterfully produce stylized lamps for an affluent group of customers in the early 1890s.His orientalist designs drew inspiration from near and far Eastern as well as Venetian sources. They contained coiled bronze wire and blown favrile glass that “reflected the cultural fascination with the exotic,” says Tim Andreadis, Freeman’s specialist in 20th-century design.In the late 1890s through 1930s, Tiffany Studios crafted pieced, mosaic glass shades that often featured floral designs and colors that aligned with the Art Nouveau movement of the era. The talented artisans and designers who created these iconic leaded-glass lamps, says Andreadis, “established an oeuvre of lighting design unmatched in the modern era.”Original Tiffany Studios fixtures are highly sought after today and the market remains competitive for investment-quality works. 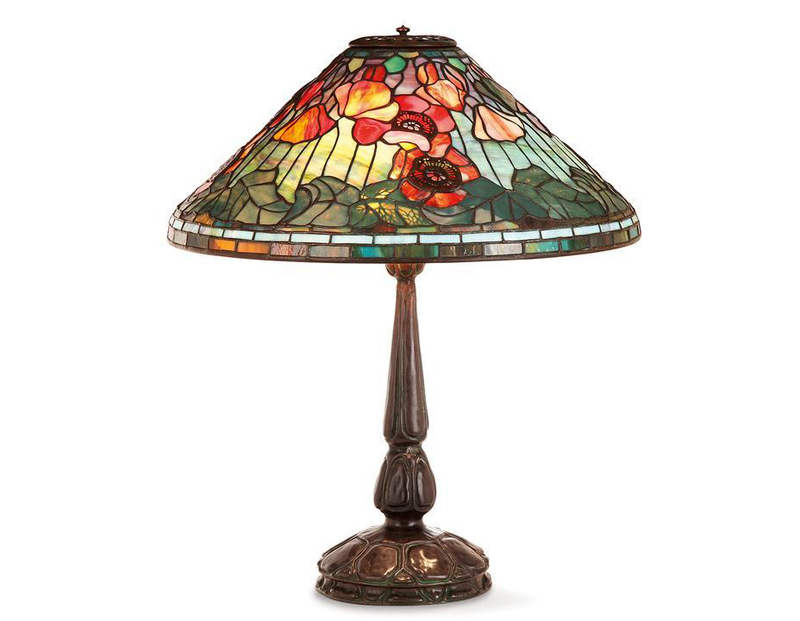 Lamps can be worth anywhere from $4,000 to over $1 million; the highest price ever paid for a Tiffany lamp was $2.8 million at a Christie’s auction in 1997.Below is a list of recent realized prices for Tiffany lamps from the Invaluable price database, ranging from valuable shade motifs like the Dragonfly, Nautilus, and Peacock to more accessible styles. Some of the most popular designs range from the more orientalist types like the Poppy lamp, to the dream-like, flowing floral designs like the Daffodil and Wisteria. The Dragonfly and Peacock designs, says Andreadis, are among the most desirable of the “blue chip” Tiffany lamps – those that would have been much more expensive at the date of their creation and still tend to hold six-figure price estimates. 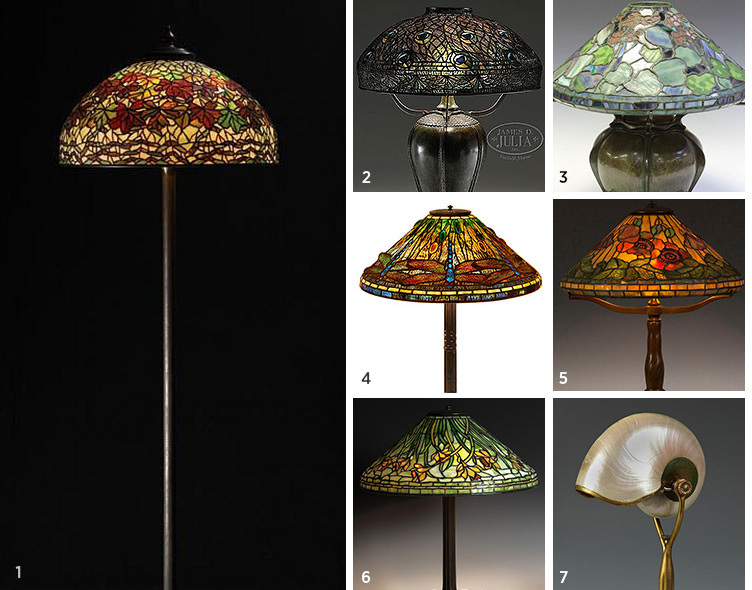 Alongside their more intricate glass masterpieces, Tiffany Studios also produced student and library lamps with geometric or favrile glass shades. 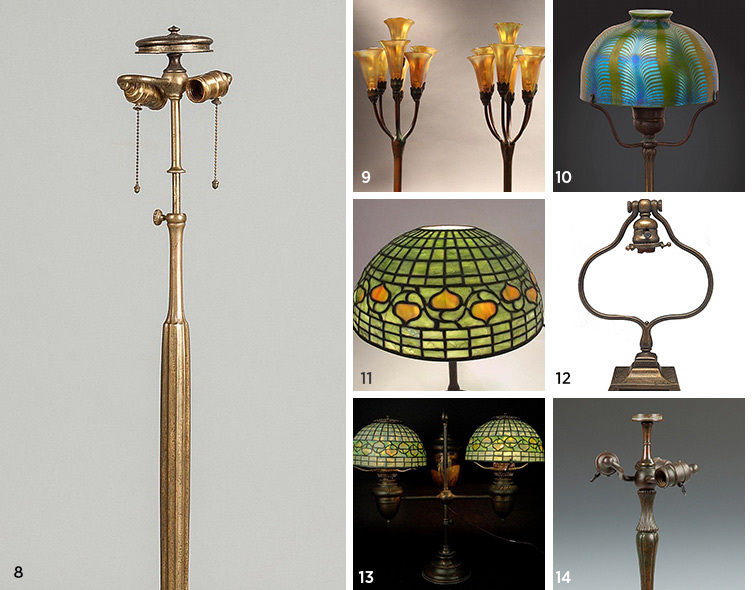 Seeking these out, as well as less popular motifs and original parts of Tiffany lamps allow for buyers to “acquire Tiffany quality at a fraction of the price of the more elaborate leaded lamps,” says Andreadis. Another slightly more accessible option for those seeking Tiffany Studios lamps is the bronze base. While less breathtaking than their lampshade counterparts, original bases are valued by collectors.